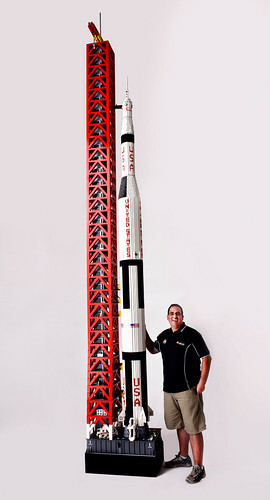 Multiple things making me cranky today, so here, have a LEGO Saturn V rocket, built by Ryan McNaught. This thing is almost nineteen feet tall, made of approximately 120,000 bricks. Click on the picture for the full photoset. 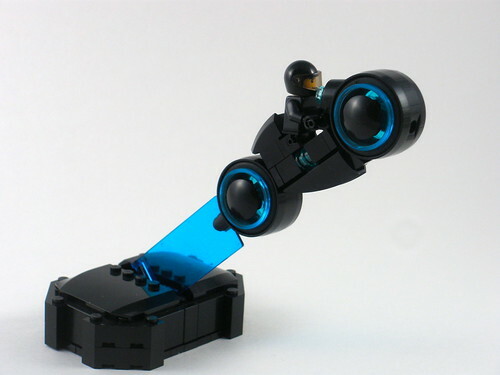 I’ve posted a lot of LEGO stuff here, but this is one of my favorites. It’s such an awesome and loving tribute to the real thing. The Legend of Jig Dragonslayer, the 3-in-1 omnibus edition of the goblin books, now has a listing on Amazon. It looks like DAW reworked the cover art from Goblin Quest. Clicking the link or thumbnail should take you to the Amazon page, where you can get a closer look at the cover. From Raphael Heusser, the Millennium McQueen, a LEGO mash-up between Cars and Star Wars. I am most impressed at how well this works. Click here or on the pic for more photos. ETA: I’ve added links to YouTube for anyone having trouble seeing the embedded videos. 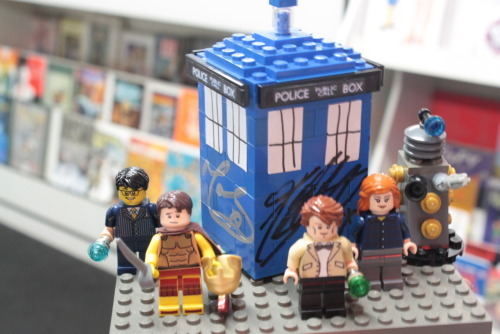 3) Finally, Doctor Who LEGO, from infinitepi. (With a cute little Dalek and an autographed TARDIS, no less!) 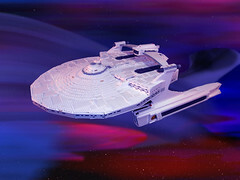 I totally need to try to build this one. Just need to figure out where/how they got the Police Box sign. Thanks to everyone who entered the contest to win two Laura Anne Gilman hardcovers and a bonus stuffed meerkat! When the weremeerkat revolution comes, the werehyenas will be first against the wall! Congratulations! I’ve forwarded your contact information to Laura Anne so she can hook you up with your loot. Sunday, 10:00 – 11:30 — When Should a Series End? All of my panels are in Ballroom 5. I don’t have a reading, and I don’t see an autographing spot, so feel free to stop me between panels or wherever if you’ve got something you’d like me to sign. Or just to say hi, ’cause that’s always nice too. Finally, some of you might be familiar with a little series called Lord of the Rings. 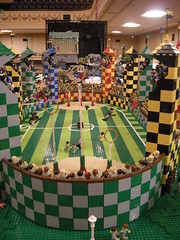 Well, OneLug has recreated the Last March of the Ents in LEGO, and it is sweet. Click the pic for the full set, and believe me, you want to click through to see some of the details. I see some new people have started following the blog. Welcome! Feel free to say hi and introduce yourself. Or not if you prefer. It’s all good. I’ll be at the Kerrytown Book Fest on Sunday. 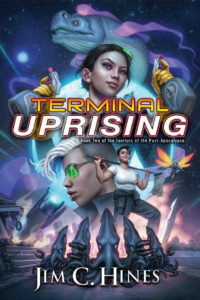 I’m joining David Arnsdorf, Steven Piziks, David Erik Nelson, and Carrie Harris at 3:00 in the main tent for the “Science Fiction Voices” discussion, and I’ll be signing books immediately afterward. Contest winners! My thanks to everyone who entered the book giveaway on my various sites. I threw all of the entries into the randominator and selected Leslie and viorica8957. Both of you should have received e-mails with details. Congratulations! 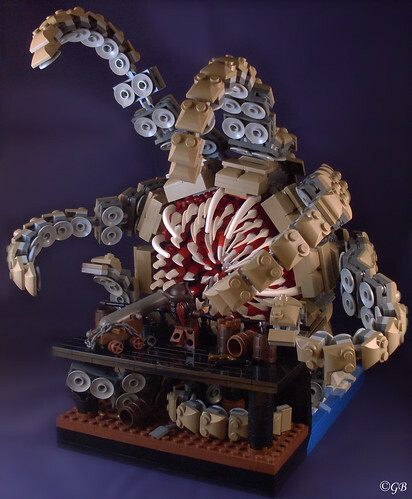 Finally, because I’m out of other things to blog about, have a LEGO Kraken vs. Jack Sparrow, by Lego.Skrytsson. 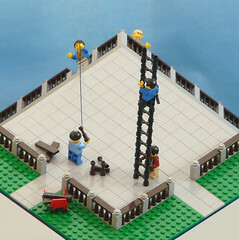 Click here or on the pic for the full set, which depicts that final sequence from the movie. Click the pic for additional photos of Ewok in Disguise‘s creation. And since they were kind enough to post instructions, I might actually see if I can scrounge/buy the parts to build this one! Think that’s cool? Fine Clonier took it a step further, and built one that lights up. You know what this world needs? 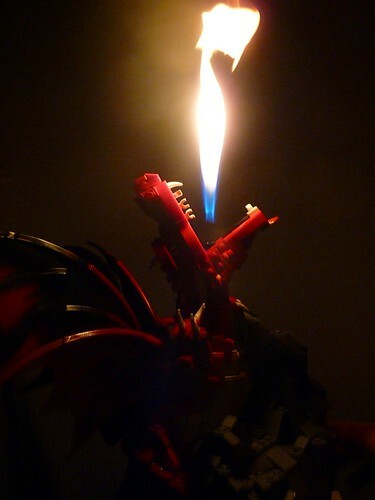 A LEGO dragon that breathes fire. Akama1_lego has taken care of that need. Full photoset is here, or you can click the pic for more. There’s also a YouTube video of the dragon in action, if you’re interested. Yeah, that’s all I’ve got for today. Have a great weekend, all!